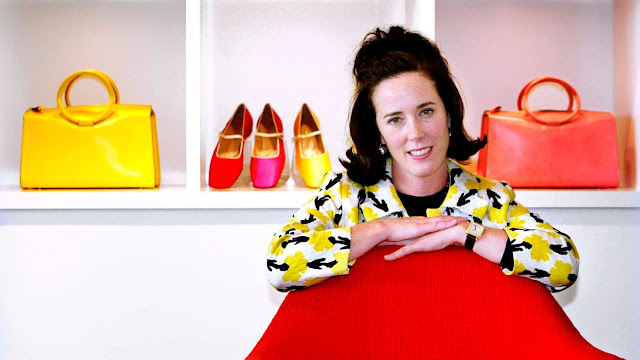 I was so sad to hear about Kate Spade. And I will be honest - my first thought is always "wow - money really can't make you happy". And then I think "I wish (or hope) she knew Jesus. If she knew Him she would have had hope". And those things are true statements. But they really aren't fair statements. Because the truth is - it's not your circumstances that determine your happiness. You can be rich and really happy and you can be poor and really happy. And it's really "not being happy" that makes you want to kill yourself. The people who take their own lives - most often struggle with a deep depression that they can't control. They can't see a light at the end of their tunnel. I don't understand depression. I've never had it and it's hard for me to understand that kind of despair that would make you want to end it. I want to say "just look at the bright side" or "you should be happy" but it's not that simple. I don't understand depression. But I do understand anxiety. I've heard a lot of people not "get" what anxiety is. And unless you suffer with it - it does sound like something you should be able to control. But you often can't. I've been awake in the middle of the night with my heart racing and my hands sweating and my mind going a million miles a minute overwhelmed with anxiety and there is no obvious reason. I'm not worrying about health issues or money issues and I don't have any traumatic things in my past. It's just something in my brain that happens. I know that anxiety is very real. I'm thankful that I've overcome a lot of my anxiety. But it's been a work in progress. Jesus is the ultimate giver of hope and peace. And if you have Him - you have a joy and a peace that can't be explained. And you have hope of a future with Him. But that doesn't mean that even if you have Jesus - you won't suffer. You can have Jesus and still have cancer. You can have Jesus and still have heart disease. And you will seek help and treatment from professionals if you have either of these. You trust in Him and you have hope in Him but you would not just let these things go without treatment. The same is true for depression or anxiety. Jesus is still your savior and your rock but that doesn't mean you shouldn't seek help that can allow you to live a normal life. If you are suffering alone right now and you feel desperate and ashamed and hopeless - I DO hope you know Jesus. I hope you can read Psalms and the Bible and find peace in knowing who holds your future and who has loved you with a relentless love since before you were even born. But I also hope you know that there is hope and help with therapists and doctors and medicines. Don't give up hope. Your need of help does not represent your lack of faith. And if you love someone who is suffering with anxiety or depression. Don't brush it off. Don't ask them to "get over it". Encourage them to get help. Pray for them and with them. And don't give up.